Pawson Commercials can accommodate individual shipping requirements, including inspections, marine insurance, testing and delivery. Using a select choice of the UK's best freight forwarders, allows shipping from any UK port to any international port. Our experienced and highly trained staff ensure you receive the latest prices, the best available ship dates and all shipping documents in a timely manner. All documents are dispatched via DHL providing worldwide traceability. 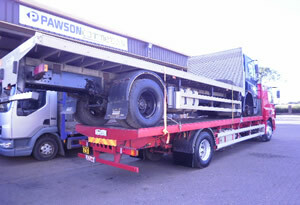 Buying more than one truck or trailer is not a problem for Pawson Commercials, our team has training and experience in stacking and loading trucks, trailers and cars. 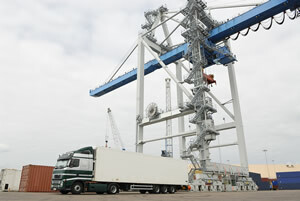 Vehicles are wired and bonded for transit ensuring that they meet shipping company criteria before sailing. 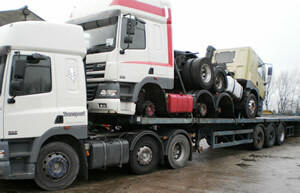 Pawson Commercials can deliver newly purchased trucks nationwide using our own transport keeping costs low.